Legendary numismatic auction firm Stack’s Bowers Galleries (StacksBowers.com) realized another record breaking price when it sold the rarest and most valuable U.S. nickel at their official auction of the ANA World’s Fair of Money in Philadelphia. 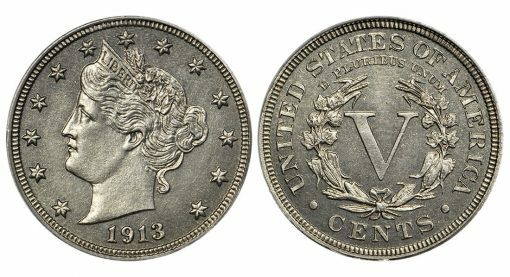 In front of a standing-room only crowd with auctioneer Melissa Karstedt at the podium, the finest known 1913 Liberty Head nickel brought $4,560,000, becoming one of the five most valuable coins sold at auction. In addition, it now ranks as the most valuable non-precious metal coin ever sold. The winning bid was placed by Laura Sperber, partner in Legend Numismatics. "This is truly a momentous sale and one for the history books," said Brian Kendrella, president of Stack’s Bowers Galleries. "The new owner of the Eliasberg nickel now possesses one of the rarest, most valuable United States coins, and one of only three examples of this coveted coin in private hands." The featured Dr. William Morton-Smith 1913 Liberty Head nickel is the finest graded of the five examples, having been certified MS-66 by PCGS, and also bearing a CAC sticker of approval. It traces its pedigree to the famous Louis E. Eliasberg, Sr. Collection, the only complete cabinet of United States coins by date and mintmark. When the coin was sold as part of the Eliasberg Collection, it was the very first United States coin to sell for more than $1 million, realizing $1,485,000 in the May 1996 auction. More recently, the 1913 Liberty Head nickel has belonged to the family of Dr. William Morton-Smith, an old-time collector whose numismatic interests were spurred by a remarkable discovery. Morton-Smith’s passion for collecting can be traced back over generations, passed on to him when he inherited a beautiful antique Colonial desk. As he was discovering the many features of the desk, he came across a compartment that housed a collection consisting of colonial coins, half cents, large cents, a complete set of Proof Liberty Head nickels and much more. These had once belonged to his grandfather, and Bill was amazed that the coins had been in the desk for all that time. He determined to learn all he could about them and continued to add to the collection. He spent decades finding important rarities, including completing his grandfather’s Proof Liberty Head nickel collection when he purchased the Eliasberg coin. While the circumstances of their coinage at the United States Mint and how they eventually left that facility are unknown, five 1913 Liberty Head nickels are known to exist. Over the century since they were made, the five coins have traveled many different paths, as told in Stack’s Bowers Galleries’ special supplement to their August 2018 Rarities Night catalog. They have been owned by various private collectors, dealers and museums over the years. Two have found permanent homes, one in the National Numismatic Collection at the Smithsonian Institution and one at the ANA Museum in Colorado Springs. Over time, the 1913 Liberty Head nickel has become one of the most famous, most desired United States coins ever struck. Stack’s Bowers Galleries’ record-breaking sale of the Dr. Morton-Smith specimen at their official auction of the 2018 ANA Convention, only adds to the status of this legendary rarity. Seem to remember that the 1913 nickels were not authorized and were struck by some mint worker without knowledge of the Mint or Treasury and snuck out. Does that mean that they were not monetized? Is this different from the 1933 double eagles? Why is Treasury not trying to seize these? This is same ball park or even more that the 1933 double eagles. True, but they are famous and after more than 100 years there would be a huge outcry. Given popular images that the government is trying to take too many rights away it would be hard to convince most juries that Washington suddenly has a right to do this with private property several times removed from the original owners. The 1974 aluminum cent and 1964-D Peace dollar were stopped from distributions at the time, and there has been an active attempt to control the 1933 double issue, but none of that is true for this issue. I suppose the argument would be that the “copyright”, as it were, on ownership has expired from non-defense. You are right. They are not coins or patterns & were not authorized or monetized. They are still government property as stolen items from the Philadelphia Mint. The gov’t is crazy for not seizing the 3 in private hands yet. But, they can seize them any day they want. Very risky to buy these “things”. Interesting thoughts, Chuck, see my note above. Unlike the 1933 eagles, the doubles were never actually released for sale (except one to the King of Egypt). Mistakes like wrong metals, off center, incorrect planchets, clipped strikes. etc. seem to be ignored if they leave the mint and are monetized. (A good thing too–where do you draw the line with minor errors not worth bothering about?) I suppose one could even argue that the 1894-S dime is illegal to own as it was never approved by the Treasury, but at this late date what’s the point? There is no statute of limitations on stolen gov’t property like these. Title never passes from one person to another no matter how much time takes place or whether legal claims are made in a certain period or not. They can be seized by the Secret Service at any time. Was just thinking about purloined 1913 nickels (am dangerous when i think) and what a great crime mystery story that would make. Then i recalled that it would be because it was already done in the old “Hawaii 5-0” . Think that they actually brought in a real 1913 nickel to be the star of the show. So much for my career as a writer. “Book ’em, Danno”. You, Richard, might be right about the double eagles but: Their story has many twists. Thousands were struck. It seems many (25 or?) were released and back in those days the “cashier” could and did exchange new “coins” for older ones. The eagle also had a window like the double but was considered legal (from what I’ve seen it too was nearly declared illegal). So, the Treasury had authorized both and not until the FDR Executive Order was there a “problem”. Sad, two who really know the story can not tell it. As to the one considered “legal” it was not made “legal” until years later.